If your lower eyelids droopy or puffy and this droopiness and puffiness started to affect your cheeks and most of your mid-face region, having a Subperiosteal facelift could be the answer. 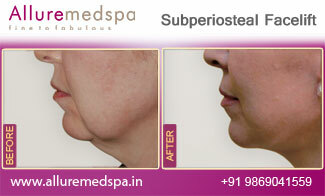 Sub-periosteal means under the tissue and over the bone. 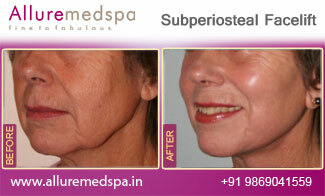 The Subperiosteal Face Lift treats the middle third of the face, which lies between the eyes and the upper lip. It is performed when a subtler, but still very significant improvement is desired. While you relax under local anesthesia, the surgeon will make an incision beneath the lash line. Through this, the surgeon will probe down into the deepest regions of the face the areas closest to the facial bones in order to vertically lift the sagging tissues. Incisions are made either at the hairline, inside the mouth or less often in the lower eyelid skin. All of the soft tissue of the cheek is separated from the cheekbone, and then lifted, repositioned and anchored to the bone (fascia). 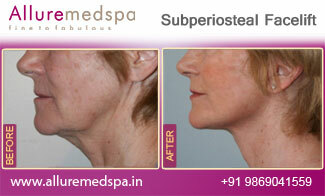 A Subperiosteal facelift is a delicate surgery requiring the most highly-skilled cosmetic surgeons. 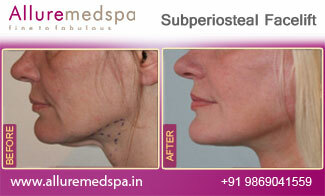 This is performed under local anesthesia. Since neither the veins nor the lymphatic vessels are sectioned, swelling subsides faster and recovery is shorter. To ensure a safe surgical procedure, a thorough medical history is taken to make sure that you don't have any medical conditions that may pose a problem to during your Subperiosteal facelift. An idea of the results you can expect will be visible almost immediately after you have recovered from surgery, however you should wait for a month to appreciate the final results.